SESEC just finished hosting a FB Chat with Seattle Preschool Program! Thank you to everyone that sent in questions and tuned in for the live chat. We hope you were able to get your questions answered. If you weren’t able to join us, feel free to check out the questions and answers here on the event page. Don’t forget to register for the SESEC Summit! We hope to see you there. The City of Seattle is now embarking on an extensive citywide conversation about housing affordability via a Community Focus Group process that they are beginning in March. We would love to have robust representation from all of Seattle’s neighborhoods, and all of Seattle’s diverse populations. There is an application process, and submissions are due Friday February 26. Information is available on http://www.seattle.gov/hala under “Want to serve on a HALA Community Focus Group?” The time commitment will be approximately 5-10 hours per month from March through the end of 2016. The deadline is Feb 26. Community Focus Group Applications available in translated languages. Due to the delayed release of translated Community Focus Group applications, for non-English speakers, the deadline is extended to Friday March 11. There will be updated forms with the new due date. 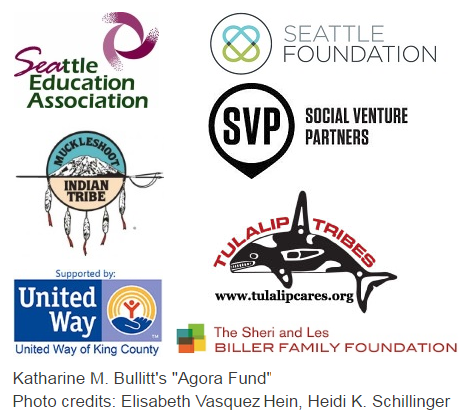 The Seattle Foundation’s Youth Grantmaking Board: Request for Proposals 2016. For this 2016 grant cycle, the YGB invites proposals from established 501c3 nonprofit organizations focused on providing accessible, direct service programs that address issues of mental health for low income families in the Greater Seattle area. Please reference this RFP for the guidelines and criteria. The transitions during childhood and adolescents are challenging periods in any young person’s life. Without comprehensive services, many families do not have access to the mental, social and emotional support necessary to deal with the challenges of life. YGB believes that in order to address these issues of youth, that there also needs to be a focus on the families that surround them. Proposals are due on 8:00am, Friday, March 4, 2016. For more information, previous funding cycles & awarded organizations, and the history of YGB, please reference their website. If you have any questions, please do not hesitate to email YGB at [email protected]. Shout-out to Graham Hill Elementary School for their work on the Home Language Campaign! 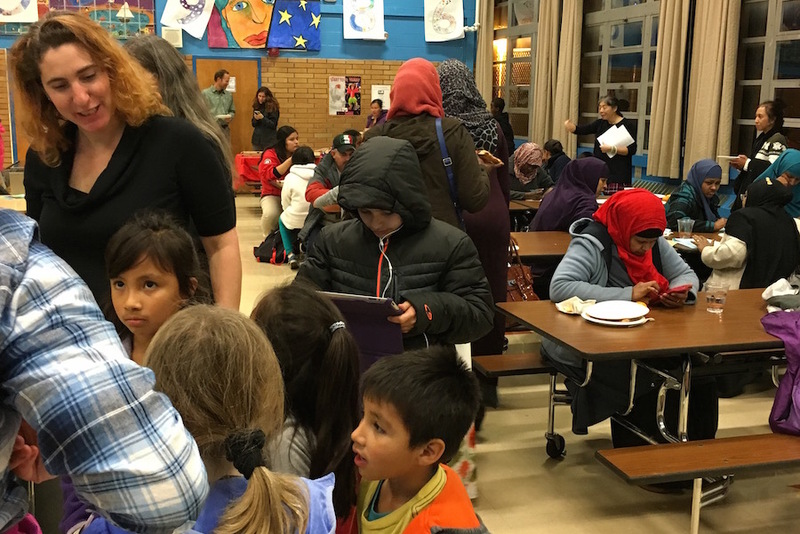 Graham Hill, in partnership with their Parent and Teacher Association, hosted an event this past winter as an example of school community partnership around the HLC. They have “been working hard to partner with families to build a school that values cultural and linguistic diversity and how the school can support children with primary language and positive identity development.” To learn more about other HLC projects, visit OneAmerica’s newly launched Speak Your Language website and our final report summaries! Learn more about the “Youth Voice, Youth Choice.” The project gives Seattle youth a voice to democratically decide how to spend $700,000 from the city’d budget. An “Idea Assembly” was held at the New Holly Gathering Center yesterday, where funding ideas from youth ranging in age from 11 to 25 are collected. Minority Law Students Association Community Dinner: Is Law School for You? 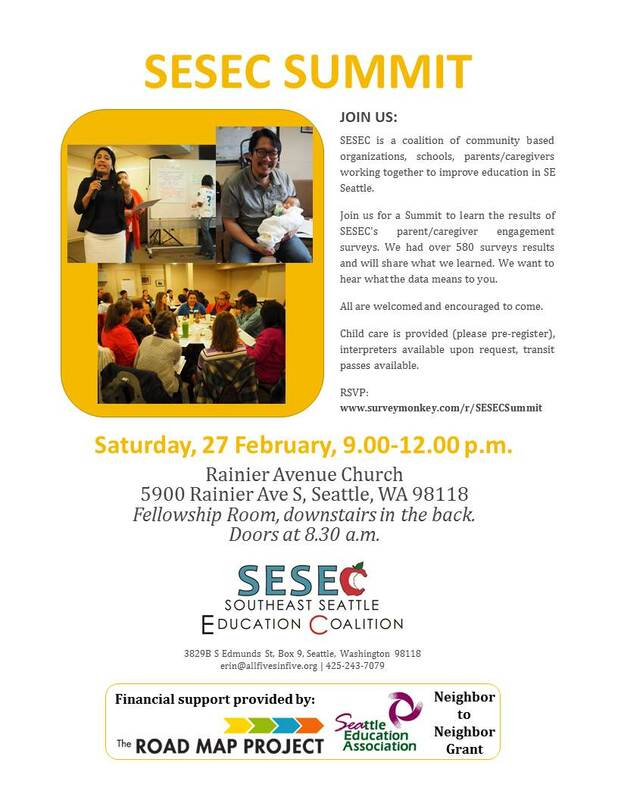 Sessions Scheduled For: Saturday, 20 February @ Lake City Library | 10 a.m.
Saturday, 20 February @ Rainier Community Center | 3:30 p.m.
Monday, 22 February @ Highline Community College, Building 2 | 6 p.m.
What: The Office of Immigrant and Refugee Affairs is launching our New Citizen Campaign with four Naturalization Information Sessions in partnership with Office of Refugee and Immigrant Assistance, OneAmerica, and USCIS. This is the first of many events to encourage eligible LPRs to naturalize and participate in civic processes. When: Thursday, 25 February from 12.00 p.m.-2.00 p.m. When: Saturday and Sunday, 5-6 March from 9.00 a.m.-2.00 p.m. Details: In the month of February, we honor and salute Black History. This March, we plan to turn our focus forward to a visionary future for our communit(ies). The Black To the Future hackathon will bring community members, developers, designers, data scientists, and local officials together to imagine and build the future of open data, youth development, housing justice, arts & culture, and economic development for the Black communit(ies) in Seattle and beyond. The event is free, but registration is required! Click here for more information and registration.